The story of Abraham is considered one of profound faith and ultimate sacrifice. Common to the three Abrahamic religions — Judaism, Christianity, and Islam — it is viewed as man’s testament of his love for god as he readies to “sacrifice” his son on the command of the Almighty. It’s a story that has also been widely debated over centuries as theorists argue that god would never ask for a human sacrifice. The versions interpret both, the god’s command as well as Abraham’s intentions. However, what most of these interpretations overlook is the possible impact that such an event may have had on the son. Taking this very thread as his central theme, Pune-based playwright Mohit Takalkar’s Aasakta Kalamanch premiered its recent production Chaheta, first in Pune and later in Mumbai at Prithvi Theatre. Based on Palestinian playwright Amir Nizar Zuabi’s The Beloved (2012), Chaheta explores the psychological trauma that a child may have suffered as he helplessly watched his parent turn the knife on him. While this initially drew Takalkar to the text, it is the nuances in the play that made him want to adapt it for the stage. “On the outset, the play explores the impact on the son but it quickly begins to explore several other questions. The most apparent is the idea of masculinity. In the play, the father is proud of his ‘chaheta (beloved)’ elder son who was martyred in the holy war. Although wrought by the loss, he wants his gentler younger son to ‘man up’. Is it the father’s idea of masculinity that becomes the reason for his son’s trauma, which he carries within him as he grows up?” asks Takalkar, explaining the draw of the text. Taking up this complex theme, Takalkar has adapted Shirin Bismillah’s translation of Zuabi’s text into an experimental play with Rajendra Panchal, Sagar Deshmukh and Rasika Agashe as Abraham, the son and the protective mother. The cast also includes Neha Joshi, Ashish Mehta, and Suraj Jaiswal. 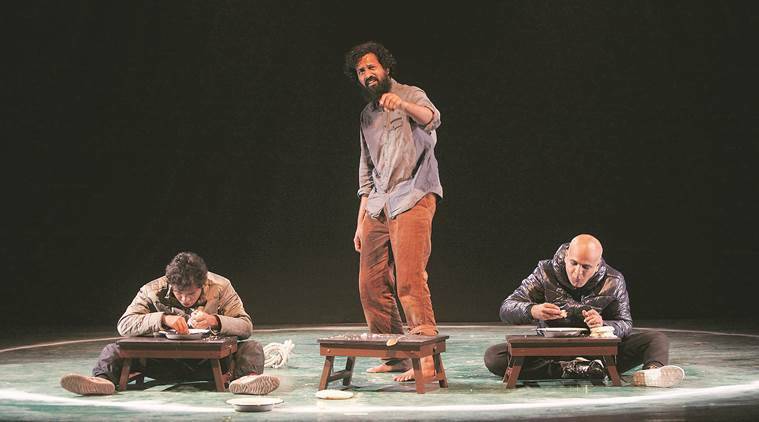 After the shows in Pune and Mumbai, Takalkar is looking to take the Hindi play to Lucknow, Delhi and other such centres before bringing it back to Mumbai in September. Through their fine performances and a tight script, the play goes on to explore these concepts while also touching upon several other issues. “Such as the sacrificing of innocent lives in the name of god…,” says Takalkar. “The play is set in Jerusalem, at the heart of the Holy War but doesn’t every ‘holy war’ ask of people to sacrifice lives in the name of god?” he asks. And as the son inherits the idea of masculinity, the play also looks at the imminent cycle of violence and history, connecting these dots. Many nuances, however, emerged when Takalkar went through the process of developing a performance text out of the translation. 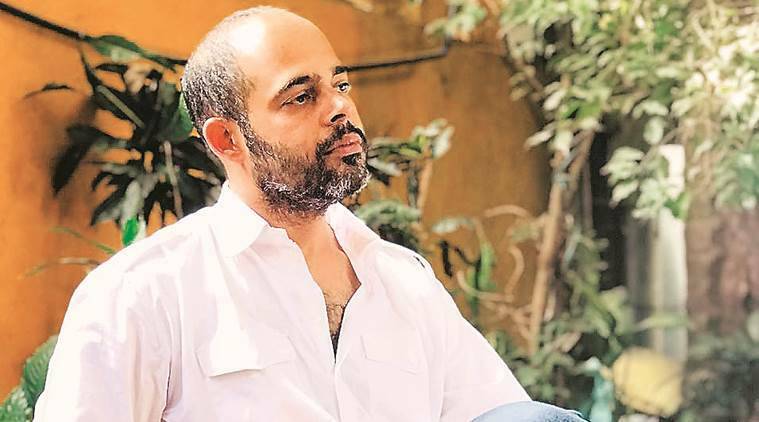 The playwright and director, who has in the past done plays such as Comrade Kumbhakarna and Zuabi’s I Am Yusuf and This Is My Brother, prefers to develop his plays over multiple residencies, working closely with the team. The process, thus, allows him to discover aspects that he may not have earlier seen in a complex text like The Beloved. “Zuabi’s Yusuf… also explores the deep bond that parents share with their eldest son, for instance, as does this, making them both also emotional journeys for the characters of the parents,” Takalkar points out. “Also, Zuabi’s text doesn’t name any character except Abraham, perhaps a metaphor of how the original story overlooks what the other characters go through as a result of his action,” he says. The toughest part of developing Chaheta, however, says Takalkar, was working on the characters of the ram and the lamb, played by Mehta and Jaiswal, who serve as narrators to a linear play with complex storytelling, a bit like the three witches in Macbeth. Philosophising the abstract bits of the play, they represent the duality of the son’s character. “A lamb can be perceived as a symbol of weakness and submission, or it can be viewed as kind and forgiving. The characters of the ram and the lamb help highlight this duality which also exists in humans,” Takalkar explains.